Whether your tooth is cracked, broken or throbbing in pain, we want to provide relief when you need it. Our family dentist Dr Philip Chou understands what a toothache can put you through … he’s been there himself! 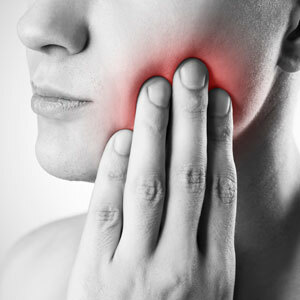 Call our practice if you are experiencing pain or find yourself in the middle of a dental emergency. We’re open early so that you can work in a visit before bringing your child to school or late so that you can come by after work. Dr Chou even sees patients on Saturdays. We want to get you out of pain as quickly as possible. As soon as you call, we’ll attempt to work you into our schedule. Same-day emergency appointments are always prioritised but not guaranteed, so try to call us as early as possible. Should your tooth be broken, causing embarrassment or pain, please contact us straight away. It may be that you need to have a filling replaced, new crown made or a root canal to prevent the pain from going on any longer. Dr Chou will review every option with you, so that you can select the best emergency treatment for your smile. How should I deal with a knocked-out tooth? If you can get to the dentist within an hour of a tooth being knocked out, the chances of it being saved will increase. It’s important to handle the tooth carefully, picking it up by the crown. Try to avoid touching the root if possible. Attempt to put the tooth back into its socket before coming into our office. If you are unable to keep it secure in its socket, then it must be kept moist. Placing the tooth in a glass of milk can help to preserve the root cells of the tooth. Once you’re in the office, Dr Chou will aim to re-implant the tooth. Insurance plans are welcome, including government schemes like Veterans’ Affairs. Vital Dental Care is an HCF Preferred Provider. All claims are filed on the spot through our in-house HICAPS machine. Contact our Camp Hill dentist straight away.